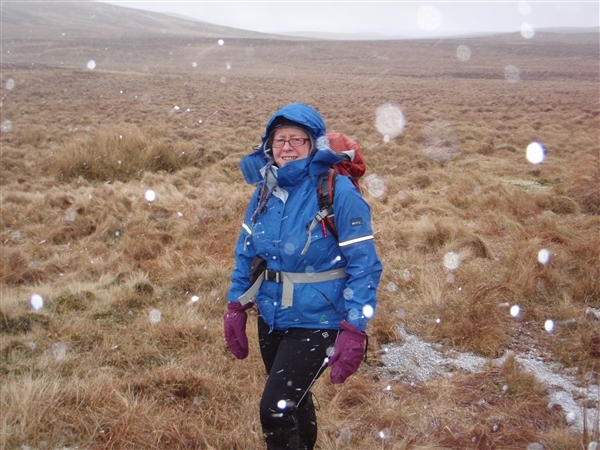 Only 3 Craggys braved the elements today - Irene, Maureen and Robin. 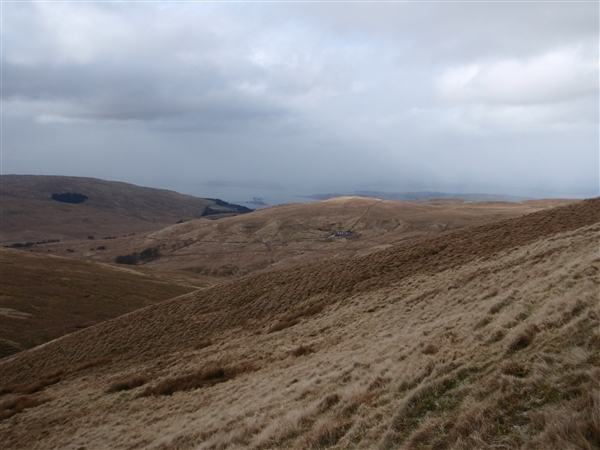 We started at 10am on the A760 near Blairpark and headed straight up the Knockside Hills. 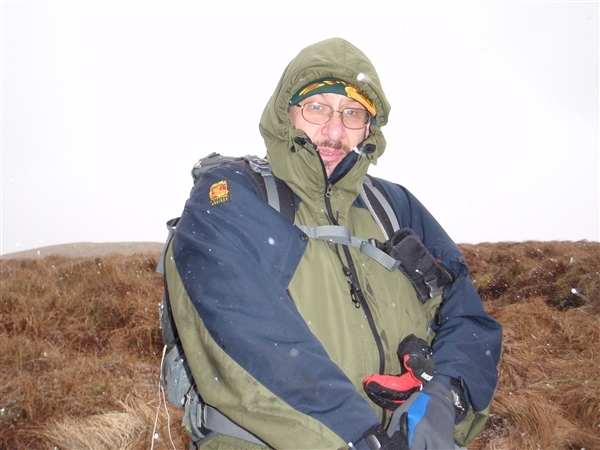 It was a bitterly cold day with a strong easterly wind. 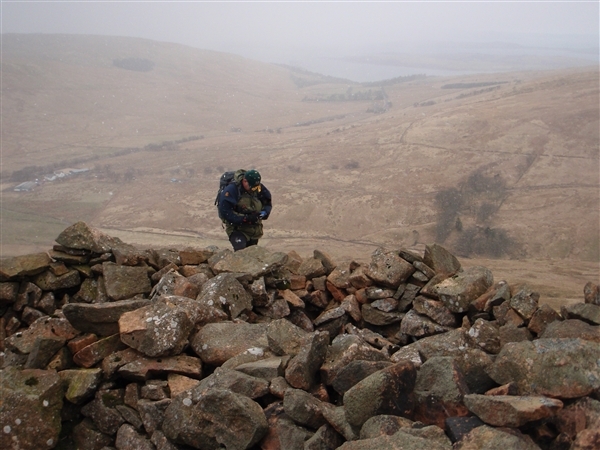 It was a steep climb to the summit where there are 3 cairns. 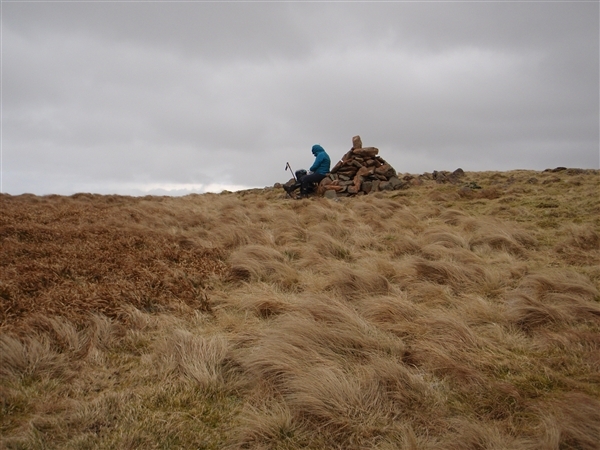 One was a 5 star cairn where we rested for a few minutes out of that really cold wind. 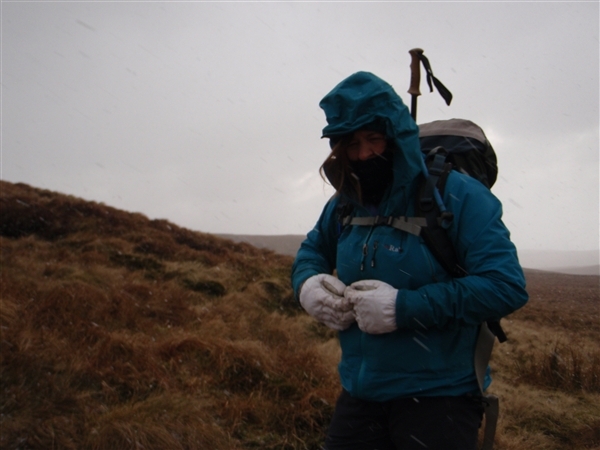 Out next hill was Irish Law but before we reached the summit we decided to have lunch in as sheltered a place as we could find and in our 4 man shelter. We could never imagine 4 men in that shelter as they would have to be midgets! Still it was cosy and warm but when we lifted it off we discovered it was snowing! 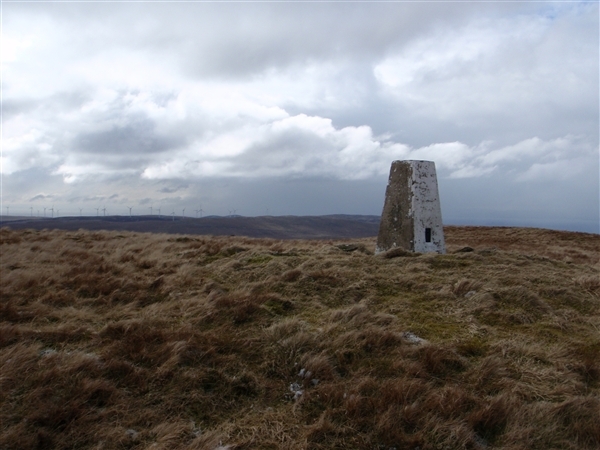 Quickly we packed up and we reached the trig on Irish Law's summit. We could see the the crash site when we descended down the north side. 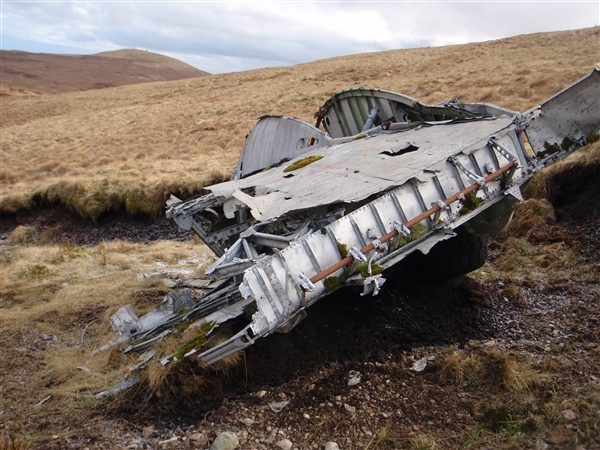 It had been a Viking plane which crashed in 1948 with 4 crew and 16 passengers and miraculously they all survived. We had a look at the wreckage which was littered around. 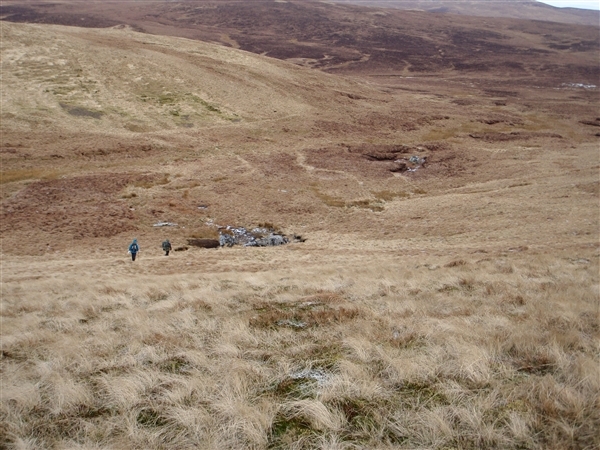 Next we headed east to Black Law and could see a large cairn on the summit. As we reached it the wind and snow came on and it was like a blizzard. 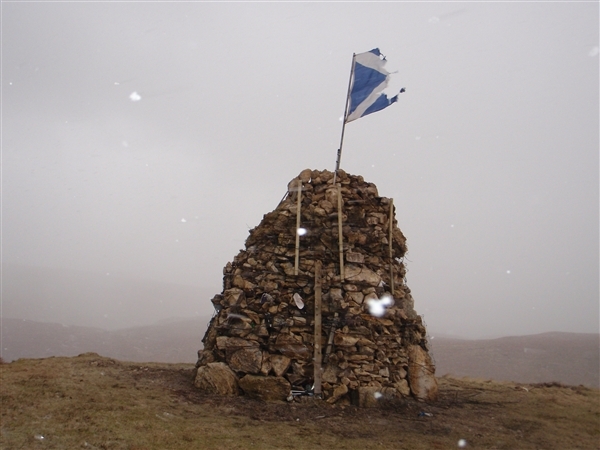 We sheltered for a few minutes looking at this large cairn which must have been 12ft in height with metal ropes wound round it and a Saltire flying high from a makeshift flag pole. We wondered who had went to all that effort to built such a structure. The wind was so strong and the snow was blowing horizontal. So it was heads down following the GPS south east. Soon the snow stopped and the views reappeared. 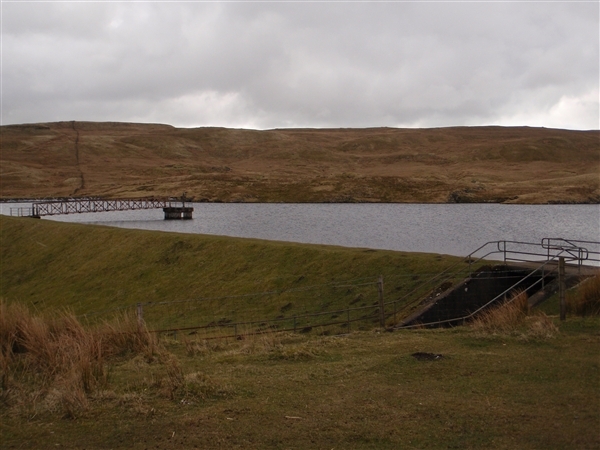 We headed to the Pundeavon Reserviour which is known locally as the Plan Dam. 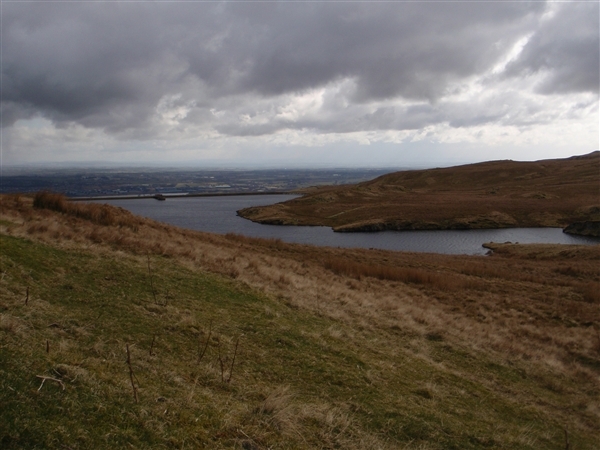 Once we reached the dam we had another rest before the next wave of snow. 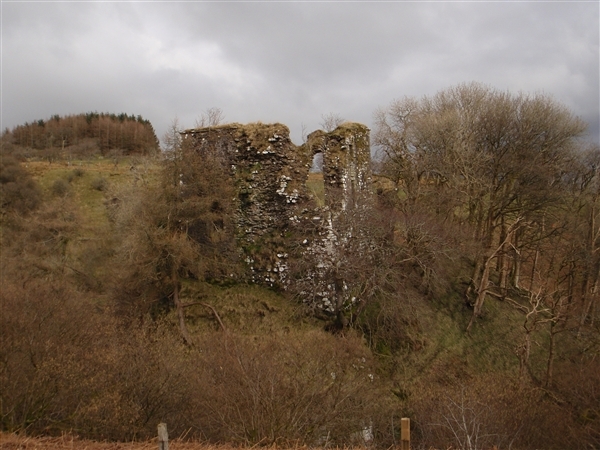 Next destination was to have a look at Glengarnock Castle from this side of the River Garnock. We had a few barbed wire fences to cross which Maureen and I made look so difficult. 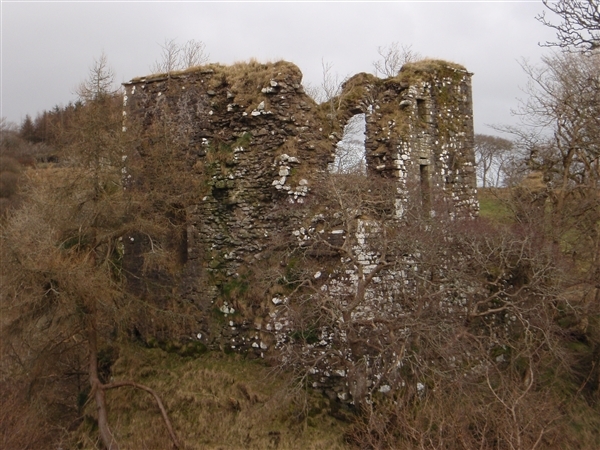 The castle sits on edge of the deep gorge of the River Garnock and although Robin and I have been there many times in our childhoods, we have always been on the other side of the river. Maureen has been to Glengarnock Castle too a few years ago with me but the weather was so awful that day that there were no views. We followed the river till it eventually led us to the road and we walked round the Stockbridge and down the Dipple Road past Redheugh to my house for some warm soup. Altogether a good walk which took us 5 hours.